Duo-cone seals (also known as face seals) are mechanical seals used to keep the oil within your final drive motor, as well as keep damaging contamination outside. These seals are comprised of two metal faces (which is why they are sometimes called floating face seals) and two flexible toric rings that forces those faces together so that they form a tight seal. The toric rings are made from a rubber or elastomeric material and get their name from their torus shape. Housing surfaces that are too highly polished. Of the housing surface is not rough enough, the toric rings will slide along the surface. In order to produce enough load for sealing, the rings need to roll along the seal housing, not slide. Incorrect installation. Any seal that is not installed properly will inevitably leak and wear out too soon, and Duo-cone seals are no exception. 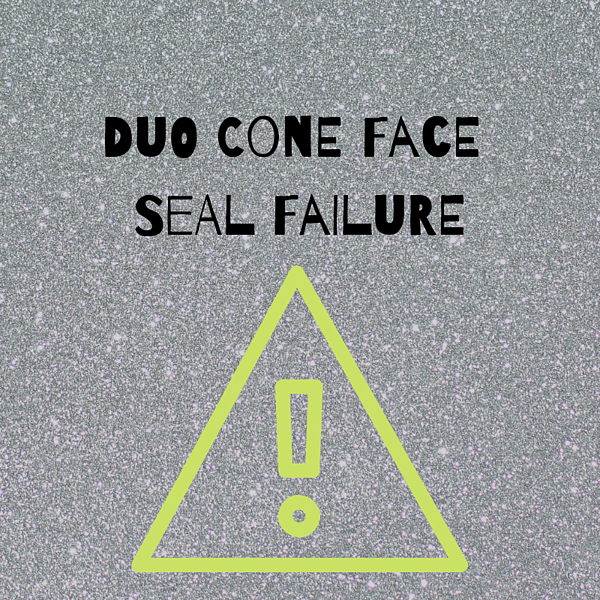 Duo-cone seals can be damaged by careless handling or by an excessive or uneven seal load. If you aren’t used to installing these type of seals, you might want to leave it up to a professional. However, there are plenty of guidelines and videos on the web to help you learn the basics. Contaminated lubricant. If abrasive particles -- no matter how tiny -- get into your lubricant, then you can expect the metal seal rings to wear out much faster than normal. As the seal faces begin to wear, they can no longer achieve the same sealing capability and will eventually leak. Don't allow your lubricant to be contaminated! Toric ring compression set. Compression set refers to the inability of a seal to return to its normal shape after the deforming force has been removed. Compression set eventually leads to leaky seals. Overheating of the lubricant is the typical cause of this in mechanical face seals. One thing to keep in mind, however, is that all seals have a limited life-span. Like most things, they will eventually wear out and when they have exceeded their life span they must be replaced. Compared to other components such as gears or gears of shafts, they have a relatively short lifespan. 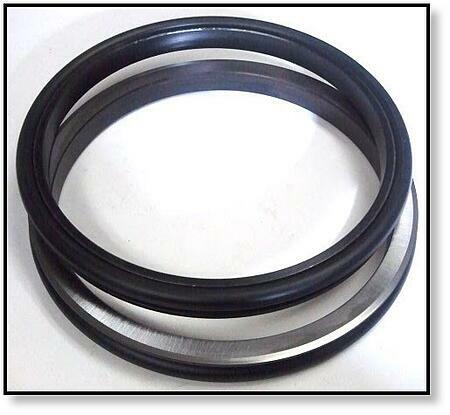 There are four main reasons Duo-cone seals fail early: the seal housing surface is too smooth for the elastomeric toric rings to roll, the seals were not installed correctly, contaminated lubricant is causing premature wear, or the toric rings are suffering from compression set. On the plus side, proper installation and maintenance can prevent these problems from arising. If you are concerned about installing seals on your final drive motor, feel free to give us a call. We can provide you with some tips or you may decide to have our experts install them for you.